Hundreds of homeowners have tapped into the ease of renovating their bathrooms by using the right type of ceramic tile saw to give them the professional finish that they need when cutting ceramic tile. The proper technique for cutting tile with a ceramic tile saw can be easily mastered with a few practice cuts. 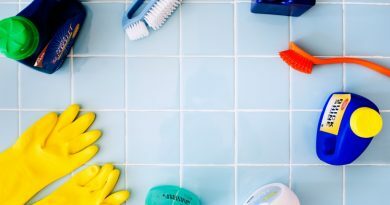 If you find that you have a bathroom tiling project in mind, but have no clue about the type of ceramic tile saw that you should use or whether you should use a dry saw or a wet tile saw when installing ceramic tile in your bathroom, then read on to find the tiling information that you seek. The right tools and equipment for cutting bathroom tile will not only give you professional result but will also help to take your tiling project from paper to reality. A ceramic tile saw is a cutting tool that is used to cut a wide range of materials such as tiles, granite, and marble. These materials are quite resistant to impact and applied cutting force, and for this reason, a ceramic tile saw blades is specially crafted with diamonds to cut away at very hard materials while maintaining a straight professional cut in the process. There are in essence two types of ceramic tile saws: a wet tile saw and a dry tile saw. The former is basically what the name suggests: there is no use of any lubricating fluid during the cutting process. A wet ceramic tile saw, on the other hand, has to have a constant water source during the cutting process to cool the diamond blade to make them last longer. The saw that you eventually choose will depend on the project in question and the results that you expect to achieve. A dry ceramic tile saw is handheld, and as such it does not guarantee as much precision as a wet ceramic tile saw when it comes to different types of tile cutters. In addition to this is it not recommended for large projects despite being easy to use. Its contender, however, comes with a cutting table and is often used on large projects are given the speed and precision it guarantees during the tile cutting process. When it comes to installing ceramic tile, both are easy to use and will not pose a problem in getting started. 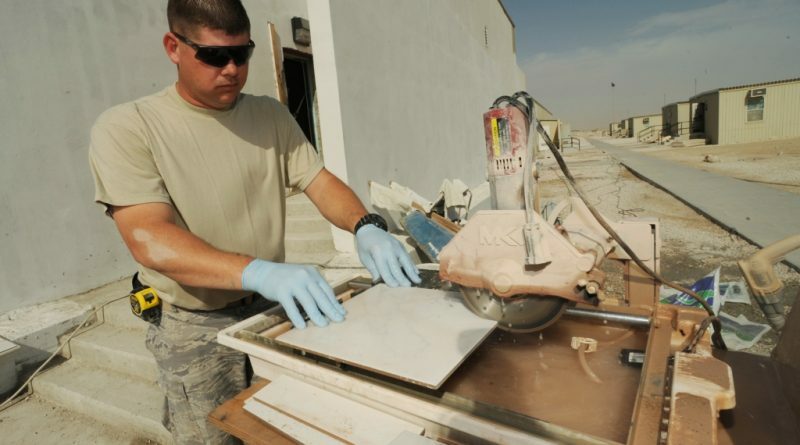 A dry ceramic tile saw works by applying the necessary force to cut into the ceramic tile. Hard materials as the ones mentioned earlier will pose a problem because this simply means that more force will have to be applied to get the desired cut. In addition to this the more force that is applied, the harder it becomes to maintain straight cuts with a dry ceramic tile saw as opposed to a wet ceramic tile saw. The wet ceramic tile saw, on the other hand, has a cutting table and a frame that keeps the tile in place while cutting. All that has to be done is to push the tile in the direction of the tile cutting blade based on the project measurement that you have in mind. The cutting process is known to cause a lot of dust, therefore wearing protective goggles and a dust mask can help to reduce the impact that this causes to your exposed eyes, nostrils, and face. 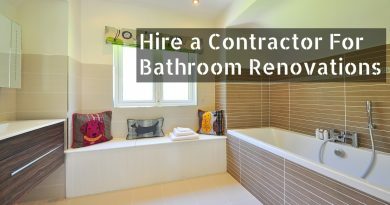 Having the right safety tools when renovating your bathroom will prevent any unnecessary mishaps from occurring. The bigger question, however, is–which type of ceramic tile saw do I really need? As mentioned earlier the wet ceramic tile saw is perfect for large projects. In addition to this if you need to make ceramic cuts with unusual shapes (U shapes, L shapes etc. ), then this is the perfect equipment to have. The dry ceramic tile saw requires a lot more effort to get the end results and many times you may have to perfect the edges after the cutting process. Cutting bathroom tile with a ceramic tile saw requires some degree of practice regardless of the type that is being used. As such, homeowners are encouraged to take the time to practice cutting using a ceramic tile saw on a few extra tiles before they dive into their bathroom renovation project. The wet ceramic tile saw functions with water, so it will always need water when working. This can create a messy working environment and as such covering the floor with an old cloth or newspaper can reduce the headache of having to clean up tile dust mingled with water. Another issue to take into consideration is price tag that comes with both ceramic tile saws and the durability; dry ceramic tiles may come cheaper, but they do not last as long as wet ceramic tile cutters due to the absence of water that is needed to cool the cutting rims.